Marine Resins: We sell the best Polyester Marine resins on the market. Lloyds Approved, UV stable, with clever gel-change technology to judge the gel and cure times. 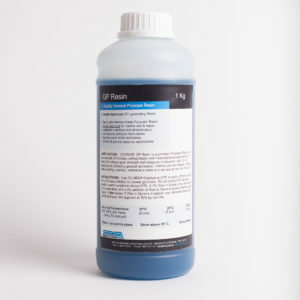 Suitable for all marine applications, MARINE LR10Q (quick) and MARINE LR10M (Medium) are quality polyester resins that can be easily pigmented, sprayed, hand laminated or used on many surfaces with its lightly thixotropic formula. Surfboard Resins: Seabase stocks the range of Silmar Resins, which has been the industry standard Polyester Resin for decades. 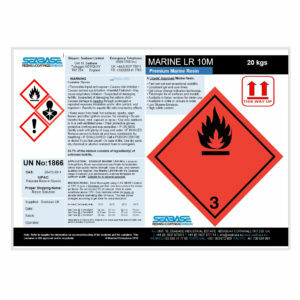 Its current range includes Silmar 249 a (the original), Silmar 249 bLH (a bluer low styrene emission resin) Silmar 249 BB (bluer still) and its newest Silmar 2880 Methacrylated Resin. In 2017 Seabase launches its new range or methacrylated Marine resins. This advances polyester-based surfboard resins again, making fast gel and cure resins tougher, with faster wet-out, high UV stability and increased usability. Seabase Marine SQ 10M (Seabase Marine use Surfboard Quality 10th test Methacrylated resin) surfboard resin is to launch this summer, and is combined with the Seabase reinforced by Hexcel range of surfboard fabrics to produce the clearest, strongest and most production friendly laminates in the surfboard industry. Seabase produced a resin in 1977 that was whiter and stronger than any other resin on the market at the time. ISO 7X – an Isophthalic Resin – was used in the 70’s and 80’s in windsurfer manufacturing that required a stronger resin. In the late 70’s Seabase developed a range of fibreglass cloths with Hexcel in France and optically matched the fibreglass finish with the new resin, added a better UV stabiliser, and later added faster accelerators in the revised ISO 10X to produce a popular surfboard resin still used widely in Europe today. Roofing Resins: Buy the best and be sure. ROOF FR20 is our roofing resin is so good its Lloyds Approved for waterproofness! Seabase has been selling waterproof products for 40 years – and only the best will ever do. Save materials, save time and save hassle with our unique roofing resins with colour-change technology, telling you how much time you have for gel and cure. Excellent clarity, superb wet-out, total quality, our roofing resins make your job so much easier. Matched with a superb CSM for flat surfaces, and easy wet-out, our laminates are as good as it gets in all circumstances where constant wetness is a problem. Seabase Roof FR20 Roofing Resin. Quick, safe, easy and 100% waterproof. Guaranteed. We also stock all your roofing needs.